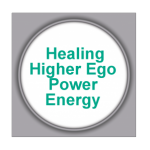 This healing meditation is for people trying to exert too much power, control or influence in their life, particularly over loved ones—spouses, companions, children, parents and close friends. Often, in ways that weaken or have a destructive impact on these important relationships intimately linked to your happiness and health. This meditation helps you to recognize whether it is ego’s voice or your own voice which is truly at work in your life. 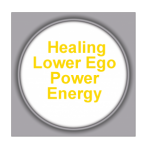 When ego is speaking loudly we often become locked into any of the following roles which though unseen are destructive to others and ourselves: Dictator, Rebel, Narcissist, Ultra-Competitor, Control Freak, Exploiter, Independent or Bully. The light shared within this meditation will help you to share influence with people and life in ways allowing you to get more from what you, others and life has to offer. Sharing control opens the door to recognizing, respecting and meeting the needs of everyone that allows for a deeper, richer life, than can be lived when we act as if we are the only one that matters. This healing meditation is for people having difficulty giving themselves permission to exert power, control or influence in their life and particularly within relationships. You have often neglected yourself and gotten less than you deserve while allowing yourself to be dominated, manipulated and even abused by family and friends. This meditation helps you to recognize when you are truly speaking with your voice rather than ego’s which is important to owning your life and having a say in what is taking place within it. 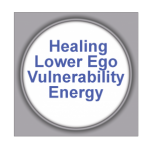 When ego is speaking loudly we often become locked into any of the following roles which are unrecognized but destructive to ourselves: Victim, Martyr, Dependent, Depressive, Underachiever, Conformist or Masochist. The light shared in this meditation will help you to give yourself more permission to own your life and free you to exert the influence that needs to be a part of it. You are meant to have an important say in your life and no one can speak for you—but you! This healing meditation is for people who are too rigid and inflexible in their thinking, weakening your ability to tell the difference between belief and truth. Which lead to faulty beliefs, attitudes, values, prejudices, and illusions that are formed involving racial, religious, political, sexual and cultural views often disconnected from social reality. This meditation helps you to recognize whether its ego’s voice or your own voice that is at work when thinking about these important aspects of social awareness and social life. When ego is speaking loudly we often become locked into any of the following roles which blind us to the distance we are living from social reality: Authoritarian, Racist, Religious Extremist, Love Elitist, Sexist, Ethnocentrist, Political Extremist or Paranoid. The light shared within this meditation will help you to develop a more flexible mind in which you are open to seeking and receiving the truth, from whatever source it may come, which will enhance the quality of your mind. This will free you to be more intimately and healthily connected by truth to the diverse nature of life which surrounds you and which is the actual reality in which you are living. This healing meditation is for people who are too flexible and open in their thinking, while often listening to the wrong people, about the wrong things and at the wrong times. Your gullibility and naivete have allowed others to exploit you even though you did not know this was happening. You have often embraced faulty beliefs, attitudes, values, prejudices and illusions in order to obtain acceptance, respect, trust and a sense of belonging from the wrong people who were only using you for their own ends. 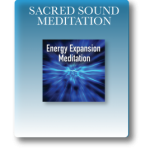 This meditation helps you to recognize whether it is ego’s voice or your voice that is at work in determining what is being brought into your mind. When ego is speaking loudly we often become locked into any of the following roles that block us from respecting our own thinking and believing in ourselves: Child, Cultist, Loyalist, Unloved, Silent or Puppet. The light shared within this meditation will help you to develop healthy mental flexibility allowing you to distinguish between truth and false beliefs, the right people for you to be listening to including yourself and the willingness to seek truth from within yourself. You are to be the owner of your mind and can only do so when you take full responsibility for what enters, is changed or removed from it—not ego! This healing meditation is for people who are consumed and upset with the weaknesses and imperfection they see in themselves, others and life. This consumption often leads to lots of fear and anger which can be seen in your thoughts, words and deeds, as well as your feelings and physical reactions. 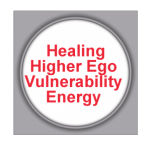 Your increased sense of vulnerability is having a negative impact upon relationships, particularly the one you have with yourself, as well as how you are dealing with achievement, adversity, stressors and conflict. This meditation helps to determine whether it is ego’s voice or your voice that is at work in managing your human imperfection, weaknesses and vulnerability. 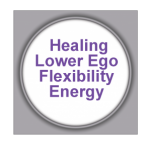 When ego’s voice is loud we often become locked into any of the following roles which distance us from accepting our human imperfection and that of others: Perfectionist, Overachiever, High-Maintenance Partner, Stressed-Out Person, Overly Self-Critical Person, Clean Freak, Traumatized Person or Order Freak. The light shared within this meditation will help you to accept yourself now and as you are, even as you grow to be a better person. While also helping you to let go of unnecessary fear and anger, making room for greater love and happiness in your life. This healing meditation is for people having difficulty recognizing their human imperfection, weaknesses and vulnerability. These difficulties are often accompanied by problems recognizing, experiencing and expressing one’s emotions, particularly within relationships. This contributes to others seeing you as cold, insensitive, reckless, aloof, or unmotivated—particularly loved ones. You find safety in denying your weaknesses and keeping distance from your emotions which ordinarily serve as cues that something isn’t right. This meditation helps you to determine whether it is ego’s voice or your voice that is at work in managing the weaknesses and imperfection of your humanity. When ego’s voice is loud we often become locked into any of the following roles that create distance in being connected to our humanity and emotions: Hedonist, Sociopath, Logician, Loner, Inattentive Person or Sadist. The light shared within this meditation will help you to recognize and accept your weaknesses and imperfection, while allowing you to more fully experience the gift of your emotions in ways that are healthy and motivate you to grow as a person—a person more deeply connected to your humanity.